Gone are the days of using waterfall to manage, develop and deliver your products and solutions. Now, more and more companies are using agile software development to effectively manage, develop, test, deliver and meet client demands. The very nature of agile software allows for you to implement a range of tools, applications, approaches, and company/team structures to get the best work from your employees. The key, of course, is in refining your agile processes to ensure that agile development is working for you and not against you. There are lots of articles online about how to be the best agile team, but to be honest, what you really need are few key pointers and tips to help guide you and your approach to creating the best-in-class software and systems. Think of the meaning of the word agile - able to move quickly and easily. This inherently means that you and your employees need to be flexible and open to change and different approaches to working. Too often when companies transition to an agile development process and methodology, they get caught up in the rules and process and neglect to remember why they’re adopting agile. Yes, it does help to have a daily stand-up, a regular scrum of scrums, project backlogs, sprints, and points. But only if these work for your teams, company and ultimately your clients. Remember that one of the reasons you’ve moved to agile is to better meet the needs of your clients. It’s hard to be responsive when your agile teams are bound by regular meetings (stand-ups/scrums) and by tools that don’t allow for the freedom and flexibility that comes with a fast and cohesive development process. Agile requires you to trust in your employees to get the work done. Identify the client need. Determine the best way to solve this need. Plan how to do this. Let the teams get to work on delivering the product. Touch base and make sure that everything is on-track and put out any fires that may crop up. But don’t hold the agile teams to rigorous methodologies, practices, schedules, and tools. Because most sprints are two weeks long, there isn’t a lot of time for error or adjustment. The more flexibility and room your developers, testers, technical writers and user interface experts have – the better they will work and deliver the client solution at the end of the sprint. Just like any kind of change, you need to be fully committed. This means that from upper management all the way down to your newest hire – everyone needs to be committed to using agile software development. Yes, we know that this can appear to be an insurmountable task, particularly when you might be dealing with the founders of the company or people who have been working in development for 10 plus years. So, how do you get this commitment? Very gradually. Do not expect an overnight switch from the waterfall (or another approach) to agile. It takes the time to successfully introduce and adopt change. Many companies use agile coaches to help ease this transition. A good agile software coach can show your employees the benefits of this development process and help them see how their day-to-day will improve. Once your team members understand and clearly see how agile will make it easier for them to achieve their deliverables, you’ll be closer to getting the commitment. It’s important to remember that agile is more than methodology – it is a mindset. When agile is working for you, you’ll find that there are no barriers to access to information or people. Everyone is committed to achieving the clearly identified goals. We want you to be responsive to two very important groups: your clients and your team members. The very nature of Agile is that it allows you to quickly and effectively respond to client requests. Product management works closely with clients to identify their needs and wants and then communicates this information to the development teams. When your clients know and can see that you’re working to solve their problems, they’re happier and more likely to want to foster a long-term relationship. When your team members communicate with you about a specific product request, spike, or other issues – it’s important that your respond and react. 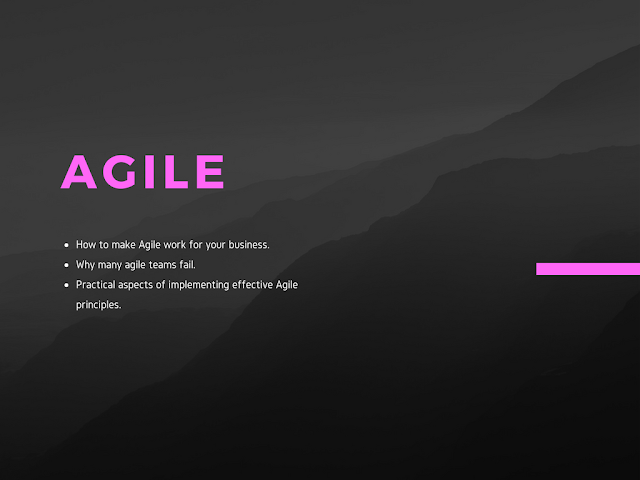 Remember, agile development is not rigid – it allows you to expand the scope of a spike, to increase the number of points assigned to specific work, and to adjust sprint expectations. Your development, testing, writing, and UX employees need to know that there is room for adjustment and improvement in the entire process. This responsiveness is what enables optimum collaboration and communication, which, in turn fosters creativity and excitement for the work. When all the team members are working together towards a common goal in a system that allows them to take risks, speak openly, and to be heard – they will deliver on and likely exceed the client requests. Ultimately, you need to do what works best for your organization. Remember that each and every company is different and this means that are there many approaches to agile software development and delivery. Do your research, test out different tools/applications, talk to an agile consultant, participate in agile training – essentially explore and learn all you can about agile approaches to software development and management. The more you know, the better equipped you’ll be to successfully meet the needs of your clients and employees. What To Learn More About Agile? Checkout these youtube tutorials playlist we have compiled.